CloseAll is a small enhancement utility for Windows that flashes a ‘close’ signal to all open applications and then ceases. It doesn’t use any system resources and unloads right after completing its task. Starting from v3.0, you can specify /NOUI and /TERMINATE command line switches to run CloseAll in silent mode. What can be easier than a task list with check boxes and OK button? Just select apps you want to close and click "Close All". CloseAll is indeed very handy if you are running multiple applications at the same time and want all of them to quit instantly. Try it to see if it can save your time. It’s FREE! 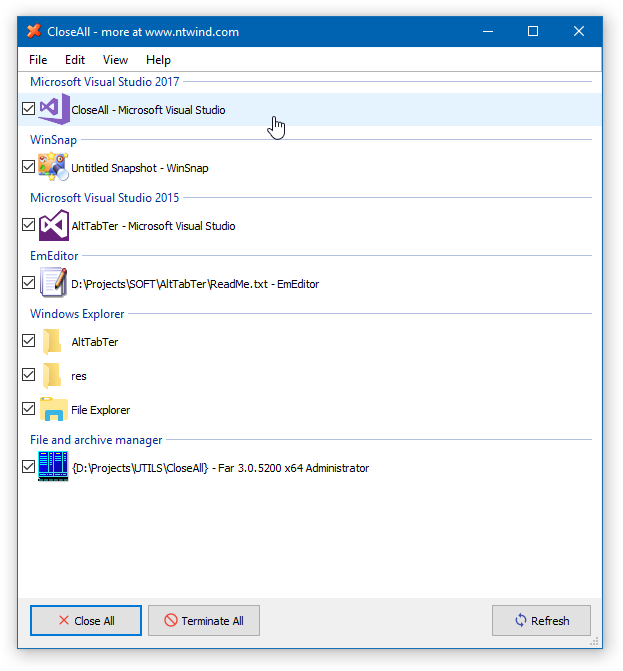 If you are looking for the way to close all open windows using a keyboard shortcut, check out our other project – WindowSpace. It contains many other useful features as well! 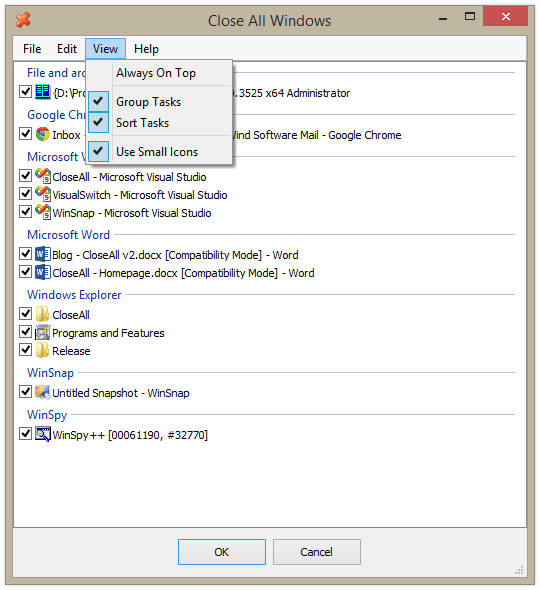 CloseAll runs on Windows 10, 8, 7, Vista and XP (32-bit and 64-bit). In order to display information about UAC elevated processes, it requires to be installed in the system %ProgramFiles% directory.